First things first, iPhone ringtones are saved with a .m4r extension and are saved in the same location as the text tones. Now there are a thousand and one reasons you might want to check out your list of ringtones. Some want to change their iPhone ringtone or assign a specific tone to a contact, others simply want to view the complete list and play around with them for a bit. Regardless of how you got the ringtone; purchased from iTunes store or created from iTunes, with the steps we are going to show you below you will easily find where they are located on your iPhone. Part 1: Where Can I Find Ringtones on My iPhone? Step 1.Tap the settings app on your iPhone to open. Step 2.Find the Sounds & Haptics (Sounds for older devices), and click on it. Step 3.Go to Sounds and Vibration Patterns section. Step 4.Click Ringtone and you will be presented with a list of your iPhone ringtones. Another way to find ringtones on your iPhone is to transfer ringtones from iPhone to iTunes, and then locate them on iTunes. 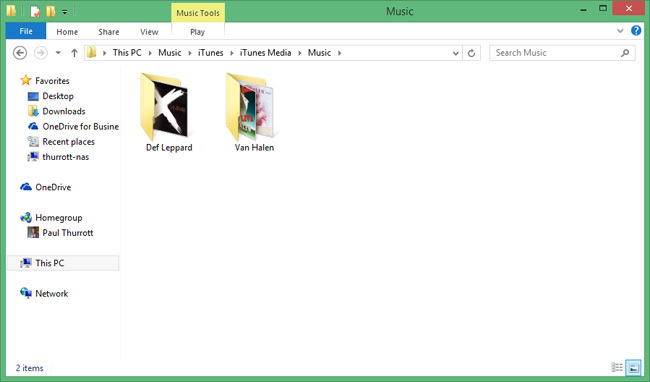 Many people might have noticed that newest version of iTunes does not display Tones tab. Actually, some features like the app store and syncing features have been removed by Apple in iTunes after version 12.7. 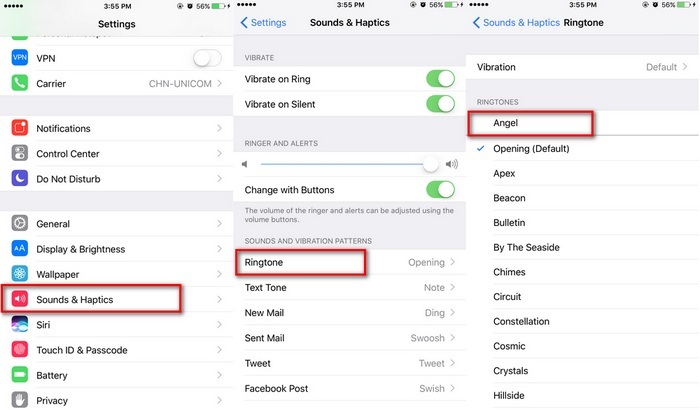 The hidden of Tones tab has made it quite difficult for iPhone users to find their ringtones in the iTunes. Our job here is to always make your iPhone experience a rather pleasing and zero frustrating one. We are going to show you how to transfer ringtones from iPhone to iTunes and how to locate them manually. Here we will be using an iTunes alternative called iMyFone TunesMate. This efficient and reliable software existed as a result of countless users complaining bitterly about the stress, limitations and restrictions of the iTunes software. 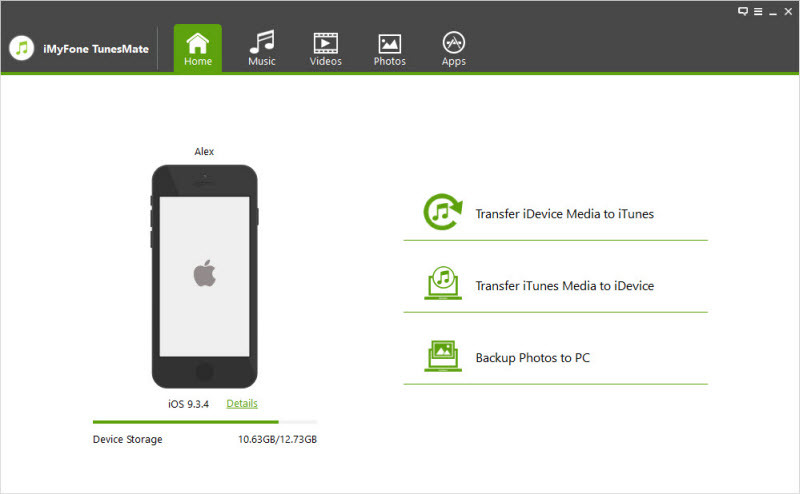 This software manages your iPhone data and helps you transfer files from your iDevice to iTunes/computer, or from your iTunes/computer to iDevice. 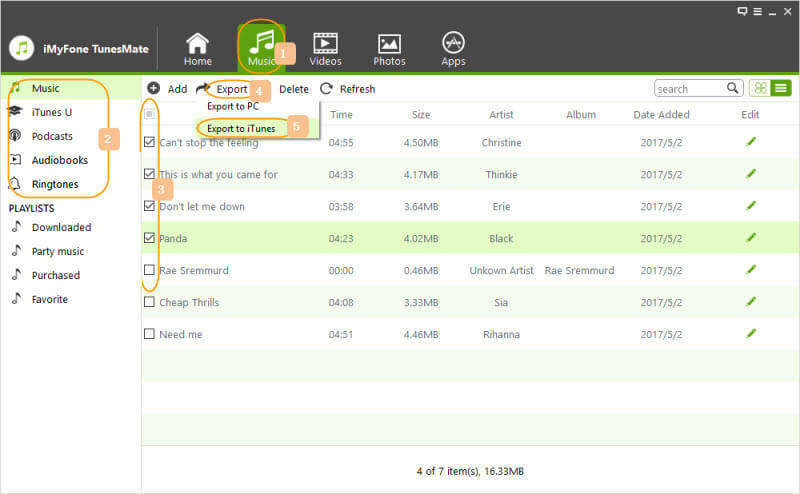 Two-Way Transfer: Provides the option to transfer files like ringtones, videos, music, photos, etc. between iPhone and iTunes/computer. Helps you create custom ringtones from any music of your choosing from your iPhone or computer. To even make the experience more thrilling, there is an added Fade in and Fade out feature to help modify the tone to your taste. Easily make ringtones and also choose the specific section of the song you want to set as your ringtone while listening. Ability to preview your freshly created ringtone before transferring to your iPhone or saving to your computer. Step 1.Plug your iPhone to your computer using a USB cable, and launch iMyFone TunesMate software. Step 2.Click on the Music tab, and choose Ringtones from the left side bar. 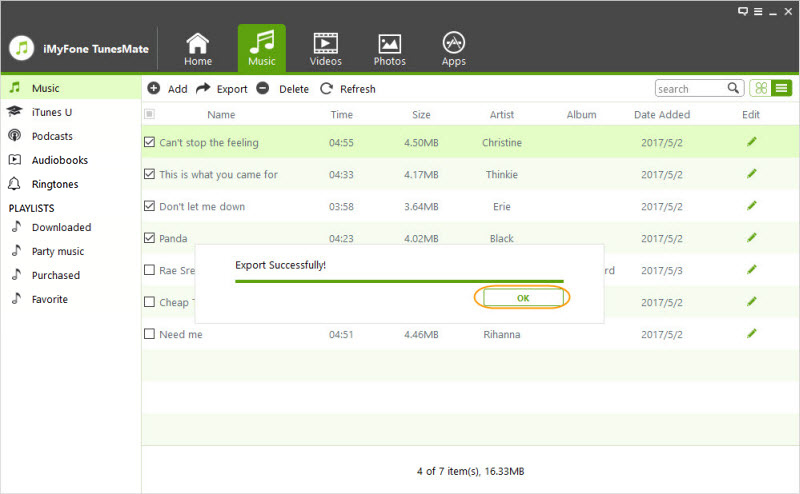 Click on Export, then choose Export to iTunes to transfer ringtones to your iTunes library. Step 3.An "Export Successfully" window will pop up after the transferring process completes, and click "OK" button to close the window. Step 4.Go to User/User Name/iTunes/iTunes Media/Music to find ringtones after transferring. Note: If you find manually locating difficult, you can choose to transfer ringtones to computer by choosing "Export to PC". In this case, you can find iPhone ringtones easier on your computer. If you have updated your iPhone and are experiencing ringtone not working issue, you can read this part to fix. Sometimes, you might not hear your iPhone ring under noisy circumstances. Such being the case, you need to adjust your ringtone volume high enough to catch your attention. 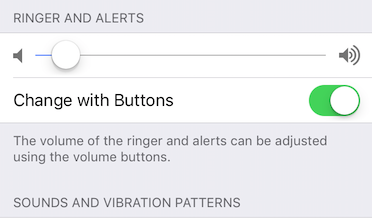 Go to Settings > Sounds & Haptics > RINGER AND ALERTS to adjust volume to suit your need. Check mute button on the left side of your iPhone to see if you enter the silent mode. Some issues can be fixed after you restart your iPhone. To fix iPhone ringtone not working issue, you can restart your iPhone.